The perfect solution to adding shade to the lounging area in your backyard living space. Meet with our Betterliving team today to discuss which system is best for your needs and add some style to your backyard. 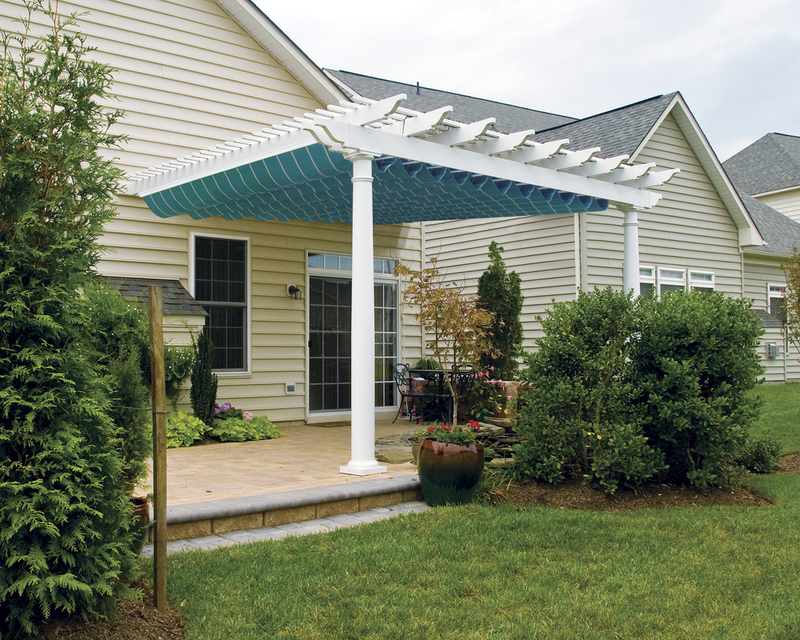 Retractable Canopies and Pergola Canopies are versatile shading structures that retract manually or with motorized operation and feature a host of fabric choices that match your home decor to create a comfortable outdoor space! Ideal to cover verandas, terraces and roof gardens, retractable canopies can provide shade around your pool and provide the atmosphere you need for outdoor entertaining. These unique structures can be installed free standing or mounted to a home, pool house or other outdoor structure. Betterliving's retractable canopies, pergola canopies and under-pergola canopy systems are a unique alternative to traditional patio covers and pergolas. The Retractable Canopy operates on a trolley system that can be installed freestanding or mounted to your home or other outdoor structure. Pergola Canopies are an attractive alternative for sun protection with added decorative rafters to the retractable canopy. The Under Pergola Canopy Systems use the retractable canopy trolley system that is custom sized to retrofit onto your existing pergola or structure. Extruded aluminum supports manufactured by Craft–Bilt Manufacturing Company for Betterliving® Retractable Canopies are covered for the lifetime that the product remains as originally installed should they become unserviceable. Cast aluminum brackets and plates are covered for twelve (12) years from the date of sale should they become unserviceable. Northport Series Fabrics are covered for twelve (12) years from the date of sale if the fabric becomes unserviceable due to a manufacturing defect resulting in color or strength loss during normal usage and exposure conditions, including sunlight, mildew and atmospheric chemicals.